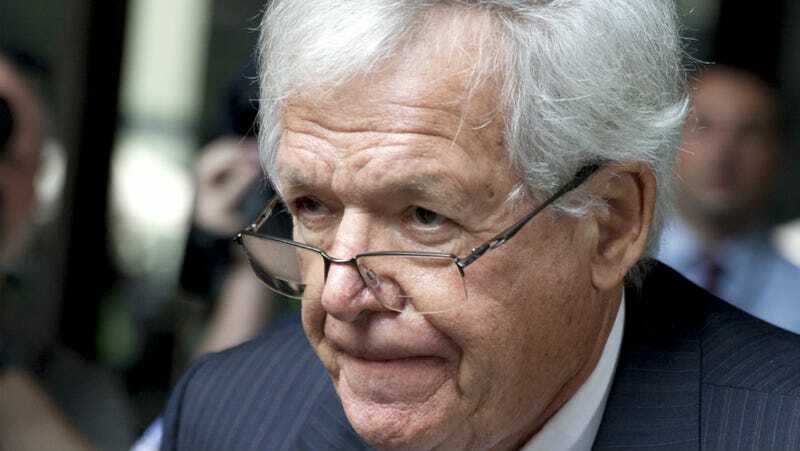 In October, former House Speaker Dennis J. Hastert pleaded guilty to bank fraud and lying to the FBI about millions he paid to cover up what an indictment called “prior misconduct.” That “misconduct” is widely rumored to be sexual abuse, committed when Hastert was a wrestling coach; the Chicago Tribune now reports that four people have made separate allegations against him. Hastert’s attorneys are requesting that he be sentenced to probation for the bank fraud charges, saying that the sentencing, which was delayed following his stroke and is now scheduled for April 27, “will be the most difficult day in Mr. Hastert’s life.” Hastert faces up to six months in prison, according to sentencing guidelines, although a judge could choose to deviate from that. One of the alleged victims is reportedly considering speaking at Hastert’s sentencing hearing, the Tribune reports.